Hannah Smith graduated from Meredith College with a Bachelor of Science in Interior Design. Hannah got her start with interior design while working for a high-end residential and commercial firm located inside the belt-line in Raleigh, NC. After marrying in 2012, she moved to Atlanta, GA and took an interior design position at a design-build firm where she learned all phases of design, FF&E, and gained numerous resources. Hannah has had the opportunity to work on large projects including Northside Hospital, Children's Dental Zone and The Tapestry House in Atlanta. 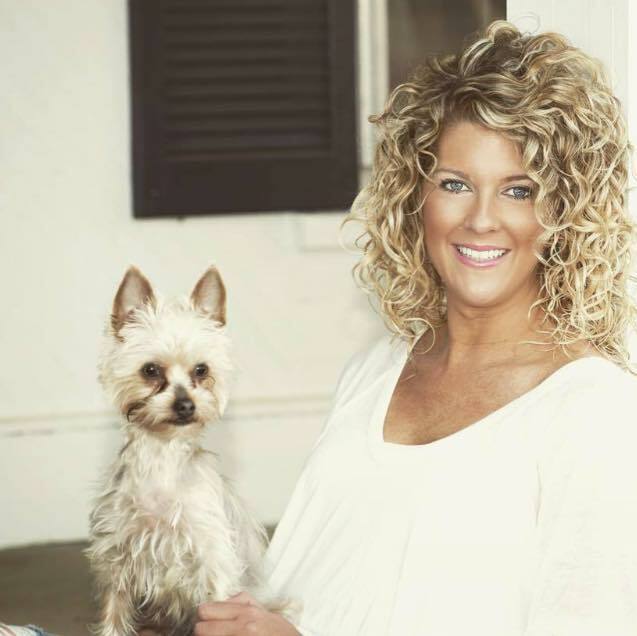 She designed her first chiropractic office, known as Adjust to Life Chiropractic in December of 2013 located in Greenville, SC. Returning home to Raleigh with her husband in December of 2013, she began working for a high end commercial furniture dealership as a Project Manager. In this position, she managed multiple projects and learned the skills necessary to be successful at managing projects from beginning to end. Her main focus was higher education : Duke University, NCSU Talley Center & American Kennel Club. After opening Hannah Smith Design in 2014, Hannah has had amazing opportunities to partner with construction companies, investors and homeowners all over the Triangle. She specializes in new build construction, home renovations and commercial contract. Hannah carries a classic style throughout her projects that remain timeless and loves to incorporate accent pieces consisting of bright colors and patterns. Initial consultation consists of (1) hour of design time in the commercial space. This time gives the client opportunity to express any design needs/vision they may have for the space. During this time, the designer will take measurements and photos of the existing space and ask questions that relate to the scope of the project. Designer will send over proposal to client. Once the proposal is signed between client and designer, a working relationship will begin. This time includes: programming, construction drawings + administration, FF & E, selections process, meetings, phone calls, project management, installation time + construction site visits. Design services usually start with a (1) consultation and can evolve in many directions. A consultation is a meeting with the client to determine what they are looking for, scope of project and how Hannah Smith Design can help. We will work closely with our client and the builder/general contractor to ensure a smooth process. This will include the selections process of the home and how to utilize the space. This may require new plan drawings, elevations or perspectives. We will work with client to carefully select accessories that best complements the space. Whether it be art work, vases, lighting or pillows - there is a special place for all of it. HSD believes in incorporating all principals and elements of design within a space. Space planning is an essential part of the interior design process. In order to provide the best design possible it is important for the designer and the client to collaborate to find the best use of the space. We will provide my expertise on paint colors and lead you in a direction where the client will be most happy. We will carefully take into consideration what colors are in the existing space such as: furniture, fabrics, natural sun-lighting. *Paint color packages available upon request. Hannah is very professional, talented, and a pleasure to work with! I will continue to work with her and would recommend her to anyone I know! We have been so pleased to work with Hannah of Hannah Smith Design on several paint selection projects over the last year and a half. Hannah's knowledge of design and passion for interiors and selections, partnered with her love to serve her clients makes for a wonderful experience every time. I always feel heard by Hannah and know she takes whatever steps necessary to turn my ideas into something concrete and beautiful. Reaching out to Hannah for help on my sister’s wedding day, was one of THE BEST ideas in order to make the day special. I took a chance in asking Hannah to be the day of wedding coordinator knowing that wasn't her area of expertise but, she did a fantastic job!!!! Hannah spent time before the wedding planning out a schedule of events, organizing where all of the decorations would be placed, pulling the vendors together, she even read over the nerve racking speech I gave! The day of the wedding I spent little time as the Maid of Honor worrying about how the venue was going to look because Hannah had it under control. Each mantel was decorated just how my sister had asked it to be, each center piece looked just how we planned for it to look, and Hannah even had time to add extra touches all over the venue. Once the wedding began, she did a good job controlling the wedding party and directing us to where we needed to be. Hannah kept the reception going smoothly even with surprise guest showing up that needed direction. Hannah continued to have a positive attitude throughout and worked well with everyone. We also asked for her to breakdown and pack up gifts and decorations after the reception was over. She had keys to our cars and knew which vehicle to put our belongings in so that we could continue to enjoy the night. I would HIGHLY recommend Hannah Smith for anything involving planning, organizing or decorating. The best part about Hannah Smith is her willingness to help however she can. I caught her calming my sister down with prayer just minutes before walking down the aisle. She uses all of her skills to your benefit when working for you. Thank you so much for everything you did for us on Alex and Philip’s day, you were such a big help and we are so grateful!!!!! My husband and I own a business where we buy, renovate and sell houses. The house was older and outdated, but in a highly desirable neighborhood. Comparables told us we needed to hit a high bar with the style and design of this house to get top dollar. We ended up gutting the house and completely changing the layout; and decided to hired Hannah Smith to help with the design, colors and material selections for this large project. We chose her because her style is amazing - the perfect mix of old-time classy and modern. Her choice of colors in the house really made the house shine. We ended up receiving a full price offer for this house and I truly believe it was because of her. Throughout the project, she was organized, budget conscious, optimistic, upbeat, and personable. We highly suggest her for your project, whether its for your personal residence, a personal business or a commercial project. Her knowledge and expertise in style and eye for design is unparalleled. I had an idea of what I wanted and she really listened. I highly recommend her for any project. I had the pleasure of working with Hannah during her time as a Project Manager at Carolina Business Interiors. Hannah is a joy with which to work. From her dedicated work ethic to her go-getter attitude, Hannah approaches every project with a contagious drive for excellence. She is very knowledgeable in design, talented beyond words, and is an excellent communicator. Additionally, her background in both residential and commercial design give her a distinguished industry advantage. Hannah has the coveted ability to juggle multiple projects while fostering meaningful relationships with clients and ensuring memorable experiences for each and every one that has the pleasure of working with her. I can't think of a better person to work with for design services than Hannah Smith! She is creative, fresh, young, and intuitive! She helped us pick paint colors outside of our normal mode of thinking. I'm so glad she did! The rooms turned out beautiful, fresh, and current. Besides her talent, Hannah is easy to work with. She always has a smile and something positive to say! I found that Hannah Smith had excellent suggestions and a well honed ear for listening to what a client likes and then acting upon it; but, she also is very gifted in offering different avenues of design to consider. She has an amazing eye for color and can put a beautiful work board together. She has amazing knowledge of design and loves to work with people, making them even more excited about their personal project. Hannah and I met while studying Interior Design at Meredith College and had the opportunity to work on multiple projects with each other. Her spunky personality was just one of the many reasons I enjoyed our partnership. Hannah has a great eye for design, blending sophistication with tonal color palettes and rustic elements. You'll love working with her on your next project! I spent over a year trying to figure out paint colors for my home and I never was able to narrow it down to below 10 colors... I needed a color that would work in rooms with a lot of sunlight without making it look too light and rooms with low light without making it too dark. Hannah Smith Design was able to come to my house, assess what I needed and picked out a paint color that would work throughout my first floor. Hannah was knowledgeable on different brands of paints, finishes and colors that are required for each shade. For example, a color I was interested in, she informed me that under some lights it'll have a slight green tint and wouldn't work everywhere on my first floor. Thank goodness she knew that and told me about it because a slight green tint would have definitely driven me insane! She was excited to work on the project and stayed within my designated budget while providing excellent customer service with her upbeat and positive attitude. Her knowledge of paint colors, finishes and brands was also helpful beyond words because I know absolutely nothing about paint. Hannah would ask me details about what I was looking for and she would go to work searching for the perfect paint color that would work for me. Hannah stayed within the deadline I needed the paint color and I was able to finally get started on my house painting project! I would recommend Hannah Smith Design to anybody that wants to work with a professional interior designer that knows how to stay within budget, on time, and is a joy to work with!! Hannah Smith Design is excited to deliver the highest quality of products to you! HSD has trade accounts with the following design lines (fabric, furniture & accessories). Hannah Smith Design is always accepting applications for those that are interested in learning about design + business development. Only those who are currently enrolled or have graduated from design school will be considered.